Throughout the entire Tree of Life tarot locations we have encountered spirit in various forms and guises, spirit guides, masters, knights, animal spirits, etc. Well, finally, we come to the place where these beings operate from: Kether Citadel. You will not find a greater concentration of spiritual resources anywhere than in this place. It is from here that all these divine beings and individuals doing the Great Work come and go. 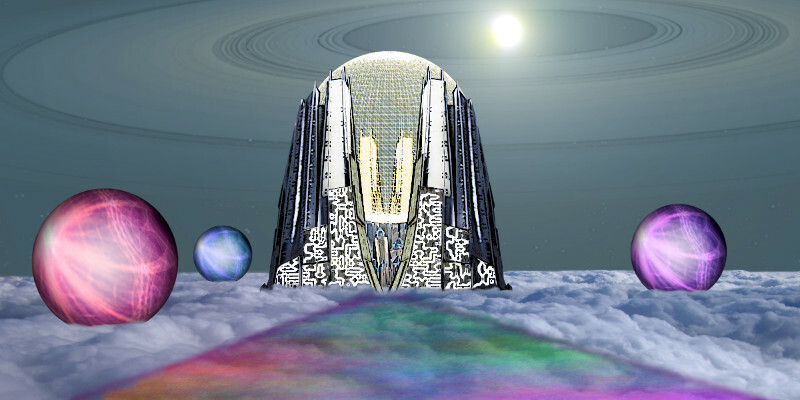 Kether Citadel is the spiritual seat of power. Metatron (sort of the spiritual governor) can be found here, as well as the council of twelve that govern spiritual matters in general. If you need some help or have some spiritual matter you need to learn more about or get advice on what to do, this is the place to come. Sure you can meet with your favorite spiritual guide, but nothing says dedication to spirit like traveling to the very place where it all revolves around. Sometimes there is no better way to get results in difficult spiritual situations than going to seat of spirit. But keep in mind that normal mundane physical matters are not what this place is about. It is about the spiritual evolution of the individual, the planet, Souls, Monads, and beyond. Here is where the grand spiritual plan is known and executed on a daily basis. Sometimes crises may arise, and it is from here that the direction of action to take is decided. The Dragons, which we learned about in Justice Glade and Hero Academy, get their direction from here as well. To get to Kether Citadel travel into Kether via the Stage route, as that puts you right at the transit hub. Then go inside and look for the Kether Citadel plasma portal. Enter into it and when you come out the other side you will be on the rainbow bridge that leads to the entrance. 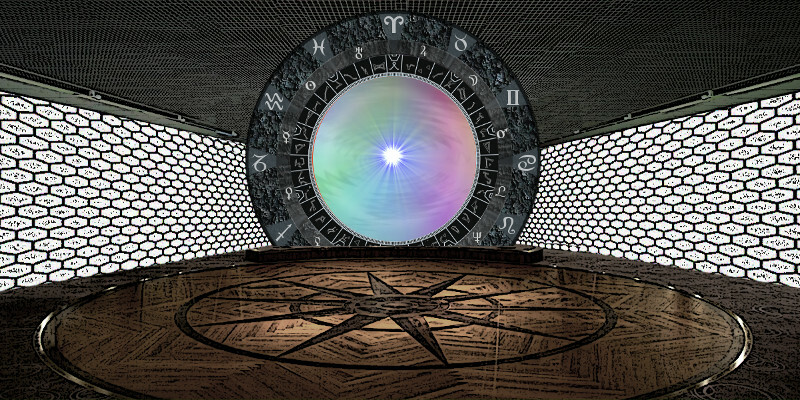 Audience Chamber: Go here to meet with the council of twelve and or Metatron. If you have spiritual requests or need spiritual aid or wish to be of help to others, you can come here to make a request. Hall of Records: Part of the Akashic Records. Go here to look up yourself or someone else to investigate their spiritual path. Ask a Librarian for help. Then sit in the lotus to retrieve the information. Hall of Silence: Go here to meditate and touch otherwise hard to get to levels of reality. Your inner journeys from here can often involve probabilities, other realities, the birth of new ideas and inventions, higher dimensional space, even touching the Oversoul reality. 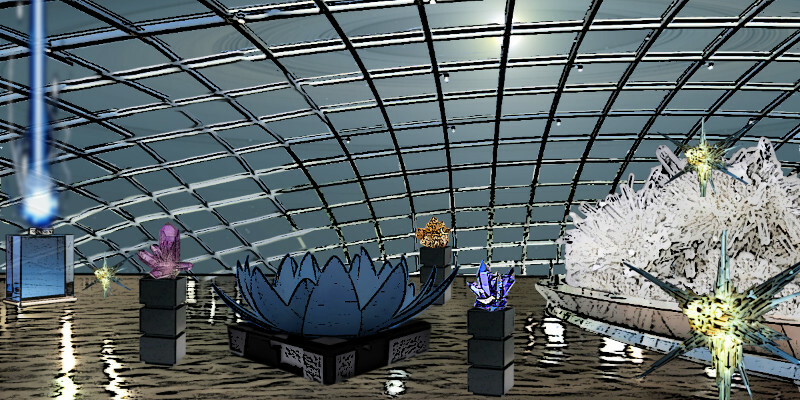 Meditations here allow you to touch extraordinary places in the Kosmos. Hall of Ascension: Go here to absorb the ascension energies. This is a lengthly process that will require you to come back often. Your spiritual body can only absorb so much ascension energy at a time, so it requires you to come back after you have anchored the energy you got from your last visit. 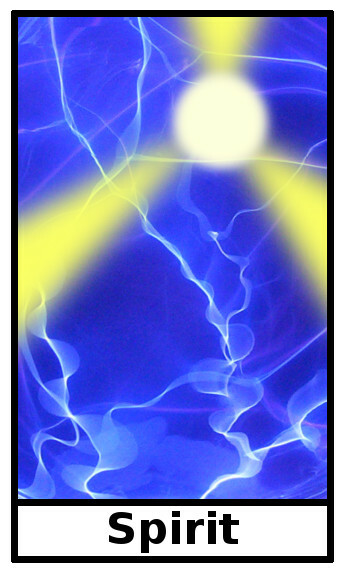 The Ascension Gateway is here as well and not only will raise your energy vibrations but also can transport your consciousness to other star systems. However to use this gateway, you must firmly be in the Kether frequency. Hall of Joy: Go here to experience spiritual joy and happiness. Good for when you are feeling down and need a pick me up. Hall of Mending: Go here for healing involving the spirit. This is not a place to get your physical body healed but your spiritual body healed. Sometimes karma related stuff can be removed by being here. As we get them we will fill them in.